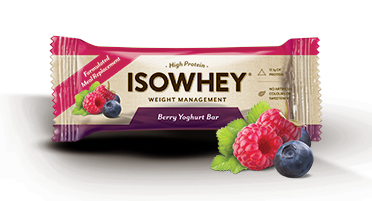 These great tasting, high protein bars are formulated and suitable to use as meal replacements for healthy weight management. Berry Yoghurt Bar with wholegrain oats, mixed berry pieces, almonds, pumpkin, and sunflower seeds with yoghurt topping. High protein - more than 12g of protein per bar. 25% of the recommended daily intake (RDI). 25 essential vitamins and minerals including folate, chromium and antioxidants, Vitamin C and Vitamin E. No artificial colours or sweeteners.